If you’re going to read the same book to your toddler fifty times in a row, make sure you don’t want to gouge your own eyes out in the process. I’ve found quite a few books that my husband and I adore reading to our sons, many in thanks to my comic convention attending friends. 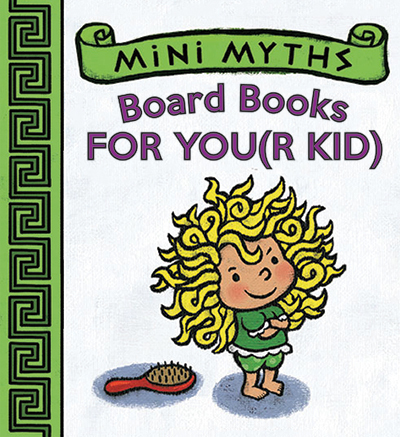 The Mini Myths Board Books came to us, as so many wonderful enrichment does lately, through our local library.